Whether you are coming on board as an employee at the iconic and historic Canoe Brewpub, joining the tropical jungle environment at the Victoria Butterfly Gardens, providing outstanding service with Truffles Catering, handling busy volumes at one of our Cascadia Liquor locations, taking care of students and faculty with Habitat Café or serving excellent roasted beverages at Sequoia Coastal Coffee, you are all highly valued and esteemed within The Truffles Group. Throughout our vast array and diversity of businesses there is a common cultural thread that brings all of us together with many shared core values such as quality, integrity, community, growth and fun. This is fostered from the top down and from the bottom up with many initiatives for employee involvement and engagement. Some of these include charitable activities, product discounts, bonus referral programs and many more. I would encourage you to learn more about the company culture and opportunities for involvement within the company and community. The Truffles Group also seeks to provide three foundational tenets for the employee work environment. These are support, empowerment and recognition. Support simply means all aspects of employment from recruitment, on-boarding, training and development, coaching, mentoring, regular performance reviews and top managerial support. Empowerment means making sure each employee has the right tools, training, knowledge, information, level of authority and autonomy to make the right decision at the right time for our guests and fellow employees. Recognition is for a job well done. We all work diligently to ensure our guests are served the right way and that deserves due recognition. This could be through incentives, staff outings and socials, career progression or even a handshake and a big thank you. As you start your career with The Truffles Group always remember there is an Executive Team located at the head office just above Canoe Brewpub. While we are often out in the field visiting the various businesses, we are always available by phone, email or a visit to the office. We are part of the support staff and are here to help make your employment at The Truffles Group an unforgettable, memorable and rewarding experience! I look forward to working together with all of you in delivering best in class service to our guests. hospitality, tourism and beverage retail. ... because we deliver exceptional value by providing the best quality products and services. ... who care about our guests, our community, and the company we are representing. ... to create an experience our guests will love while delivering consistent, quality service. ... with a love for knowledge and the belief in its ability to motivate and inspire. ... our energy and resources. Each of our businesses contribute financially and produce results; we then give back to one another, the community and our industry. As a relentless self-starter, Don Calveley launched the inaugural company of The Truffles Group with a passionate staff of one. Don apprenticed in kitchens around Europe and the Caribbean for over a decade, with his last post being an Executive Chef and Partner of a restaurant in the Caribbean. Upon returning home to BC in 1992, he poured his culinary creativity into launching Truffles Catering. After two short years, the operation grew to 50 staff and took on a major contract with the Commonwealth Games, preparing 3,000 meals daily throughout the event. Since Truffles Catering’s inception, The Truffles Group has evolved organically by continually investing in growth and opportunities. Driven by Don’s unwavering entrepreneurial spirit, his creativity inspires others to push the boundaries of innovation and challenges his teams, community and industry to think differently about hospitality. Under his current leadership as Executive Chairman, The Truffles Group continues to evolve and thrive as a market-leader in hospitality. Did you know that the Ambassadors Committee was instrumental in creating these five core values? The Truffles Group is the collection of all of our businesses, encompassing the 6 brands below. Swing by the head office above Canoe Brewpub anytime and say hello to the marketing, finance, human resources and executive teams. 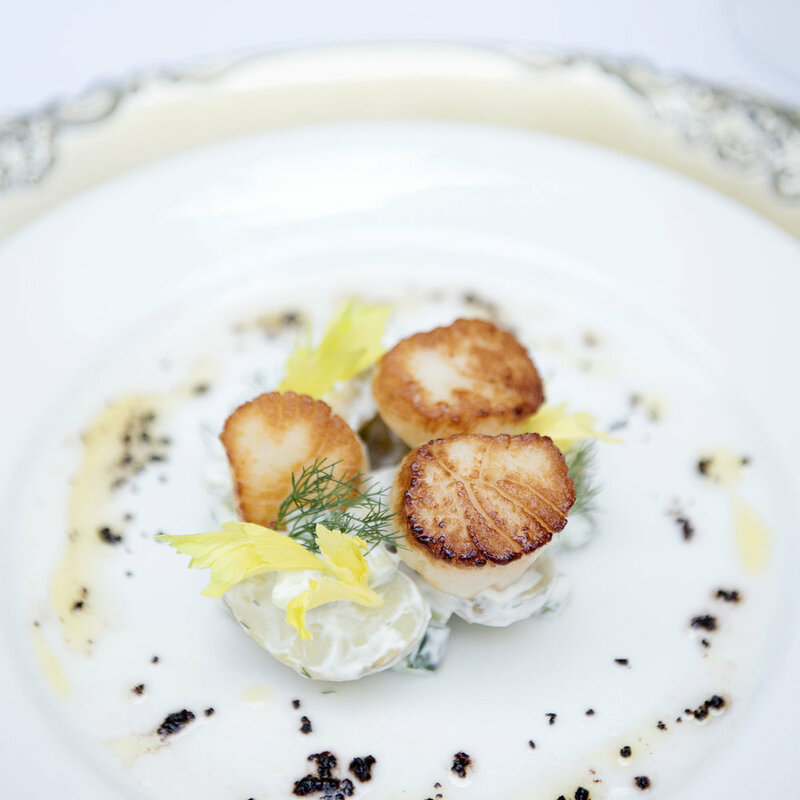 Truffles Catering is Victoria's leading professional caterer for corporate events, weddings, social occasions and more. As the flagship company for The Truffles Group, we catered our first event in 1992. We soon became the most sought after caterers on the island through creating exquisite food, artful presentation and exceptional service. Over 25 years later, we're fiercely proud of our team of experts who have built a strong clientele, and continue to provide dedicated service, locally-driven and distinctive cuisine. We're the official catering partner to the Royal BC Museum, The Parkside Hotel and Spa and other premium venues. Surrounded by history and nature, Habitat Café at Royal Roads University offers a wide range of fresh meals and beverages. Enjoy nutritious hot breakfast, lunch and dinner options, made from scratch by the chef and team. Convenient ‘Grab and Go’ options are available along with coffee, specialty drinks, beer and wine. 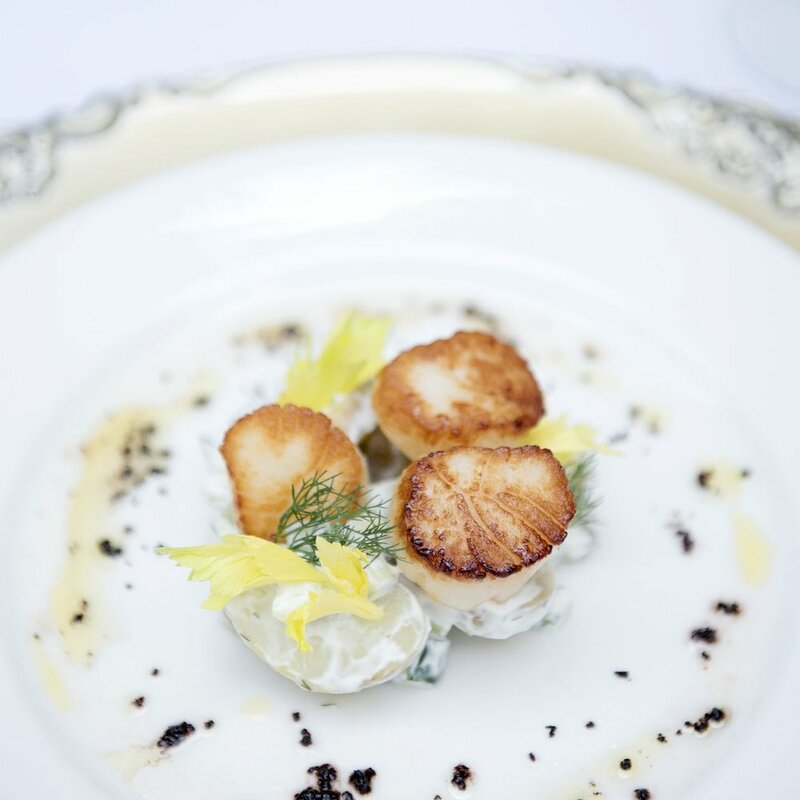 Together with Truffles Catering, this west coast cafe is the exclusive caterer to Royal Roads, Hatley Castle and the Hatley Park National Historic Site. 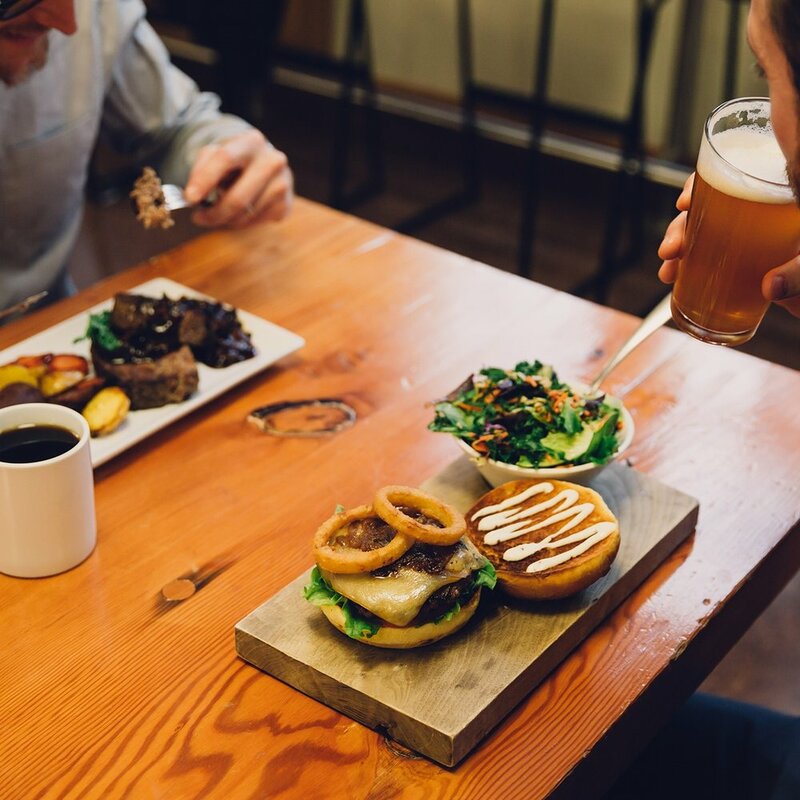 A local favourite and popular tourist destination, Canoe Brewpub is where history meets outstanding hospitality, boasting the city's finest handcrafted beer, a fresh and tantalizing menu and scenic waterfront patio. Originally known as the 'City Lights Building' in 1894, this coal burning plant generated power for the city's first street lights. The heritage building underwent a $6 million renovation in 1996 and was transformed into one of Victoria's most talked about restorations. Recognizing the city was in need of a local brewpub that delivered premium quality west coast pub fare and craft beer, we purchased the building, did some renovations of our own and set our sails up in 2002. The timeless location, soaring timber frame and rustic brick architecture create a vibrant and versatile atmosphere for gatherings large or small. Enjoy live music every Thursday-Sunday, no cover! The first of the seven locations opened in Colwood in 2007. Quadra followed in 2009, Crown Isle (Courtenay) in 2012, Uptown in 2013, Langford in 2014, Eagle Creek in 2016 and Nanoose Bay in 2017. Our team of experts come equipped with certifications and are extremely passionate about this flavourful world. 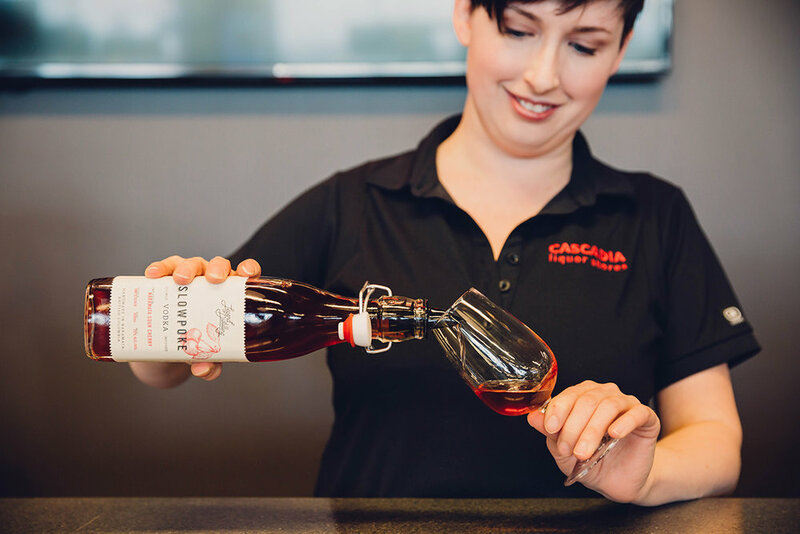 We're dedicated to delivering outstanding service and the finest wines, ales and spirits from the Pacific Northwest and around the world, all at everyday best value pricing. 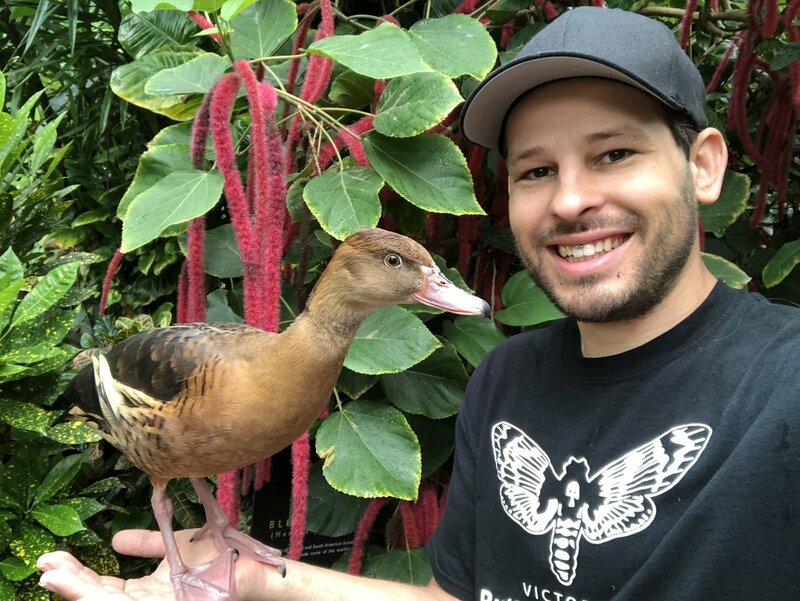 Located on the beautiful Saanich Peninsula in Brentwood Bay, Victoria Butterfly Gardens opened for business in 1992 and has been an increasingly popular tourist destination ever since. We added the gardens with its jungle creatures and dazzling butterflies to our team in February 2008. Our newest exhibit, the Insectarium opened in 2016, featuring impressive insects & invertebrates from around the world. Sequoia Coastal Coffee is a partnership between The Truffles Group and 2% Jazz Coffee. Located in the lobby at the Royal BC Museum, Sequoia has become a vibrant gathering spot to enjoy delicious hot and cold beverages with fresh sandwiches, salads and deserts. Raises funds through masterclass admissions, ice sales, supplier partnerships and bottle return donations. Contributes 50 cents from every 'community featured menu item' sold. Donate $1 from every pound of coffee purchased from Level Ground Trading. Donates proceeds from their wishing well and loose change drop box. In 2017, you helped us raise over $27,000 for our charity partners! These charities rotate throughout the year as our monthly partner. If you have a charity you feel strongly about, your donation can go twice as far. The Truffles Group will happily match your donation (up to $250/year). Let your manager know and they will make sure the charity is eligible. Our 2018 community partners are all pre-approved! In 2017, our group participated in cleaning up Banfield Park and Clover Point through Surfrider Vancouver Island's Power Hour Beach Clean-up initiative. Keep an eye out for more upcoming company and charity events to get involved with. Fact: these events count towards your two annual paid volunteer days. spans beyond our interest in 'going green'. This organization recognizes the efforts of local businesses that are reducing their environmental impact. 11 businesses are Surfrider approved for their commitment to reducing use of plastics and protecting our oceans. Kurtis Herperger (Gardens Manager, Victoria Butterfly Gardens) came up with a solution that cut down the garden’s heating cost by 24.5%. We invested in replacing the roof in the gardens and installing a new boiler. This initiative played a key role in helping The Truffles Group win a 2010 EcoStar Award and secured a Vancouver Island Green Business Association certification. Each company has its own comprehensive waste reduction program that diverts garbage from our landfills through composting and recycling. Canoe Brewpub donates all spent grain from our in-house brewing process to local famers for livestock feed. The TTG Sustainability Committee meets periodically to share ideas, resources and accomplishments. We encourage employees to better themselves and participate in activities that are meaningful to them. We offer perks for full-time employees, such as tuition reimbursement, donation matching, paid volunteer days, and entry into community events. Examples: the Victoria Marathon, TC10K, Tour de Victoria and other similar events on Vancouver Island. For employees only (dependants not covered). Company pays 60% of premium. Ask your manager how you can take advantage of these! Did you know that if you are on our benefits plan, you and your family have access to the EAP? The program is free, anonymous, and provides a multitude of services and information that go beyond crisis counselling. You need to find an apartment or a daycare for your child or an assisted living facility for your grandparent. They can do the research for you – just give them a call. They are also there during the tougher moments in life. The website has many resources and you can contact them by phone. Here are some ways for you to get involved. Ask your manager how you can be part of these committees! This committee formed in 2017 as a grass roots initiative on a mission to review the relevancy of The Truffles Group culture and core values and quickly evolved to be your brand ambassadors for all things community, guest, and staff engagement! To ensure ongoing progress with our commitment to environmental sustainability, the committee meets to monitor our operations and apply innovative thinking to our business. The committee drives new initiatives, changes in our purchasing and operations, and collaborates with the business community with the aim of reducing the environmental footprint across our group of companies. Comprised of a mix of employees and management, this committee will be instrumental in making our workplaces safer. They will meet monthly to review incident and inspection reports, discuss safety issues, and come up with recommendations for the CEO. This committee will be formed in 2018–contact Stephanie if you want to be a founding member! We are putting together a comprehensive occupational health & safety program in 2018–stay tuned! We know that employees have a lot going on outside of work and it is important to make time for those commitments. If you are feeling overwhelmed or your schedule is not working for you, please notify your manager, so they can look for ways to make modifications. Performance reviews are very important, so you know how you are doing and there can be dialogue about your experience at The Truffles Group. Don’t be afraid of them! It is also a chance for you to mention what you need help with or what the company can do better. You will receive a probationary performance review at 3 months and a yearly performance review thereafter. perform your job responsibilities while providing an exceptional guest experience. Our guiding principles are driven by our Core Values. For example, remembering Integrity as a means to how we treat each other and how we act at work. During your orientation, you will be given our Guiding Principles document, which outlines the respectful and ethical behaviour expected at The Truffles Group. We are an inclusive workplace, which means we have zero tolerance for bullying and harassment. You will notice we have very few company-wide policies, as we strive to keep these to a minimum and provide guidelines instead to point you in the right direction. First impressions are critical! Projecting a professional appearance through proper grooming and an enthusiastic attitude is essential. We ask that all employees look clean, crisp, and professional, while wearing clothing both fitting to the environment and appropriate for the customers you are serving. Uniform and attire requirements specific to your business will be addressed during your orientation. Building yourself up with the tools and confidence to seamlessly adjust your approach to any situation that you’re presented with. It’s finding what connects you, your product, and your guest, and linking them together with meaningful and genuine interactions. Following a formula or script. No two guests are the same – it’s about reading your guests and adapting based on their signals. It’s really like being a chameleon! At The Truffles Group, we believe in open communication and we encourage you to share your unique passion and expertise across a wide range of channels. If you’re using a personal account and are referencing The Truffles Group, we ask that you share exceptional experiences and to share any constructive feedback with your manager. When you comment or share content, you are upholding the company’s image. Always keep our core values in mind. If a member of the mainstream media contacts you asking for an opinion or information relating to The Truffles Group businesses, please direct them to email media@trufflesgroup.com. Take this short knowledge quiz as part of your onboarding training.